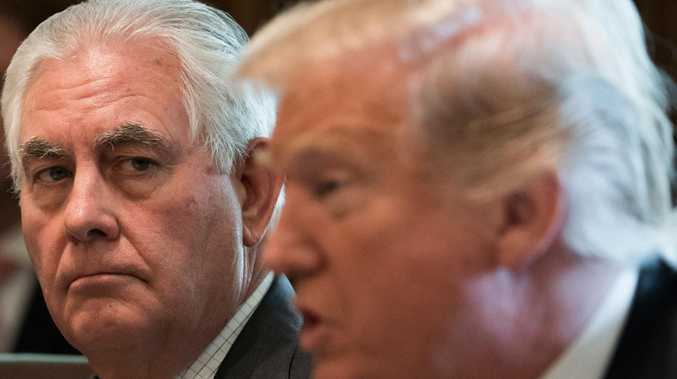 Donald Trump has hit out at Rex Tillerson in an epic Twitter takedown after the former Secretary of State alleged that the US President "tried to do illegal things". Trump took to Twitter after Tillerson told a newspaper that Trump didn't like to read briefing papers and had to be talked out of taking actions that would be illegal. "Part of it was obviously we are starkly different in our styles," the former ExxonMobil CEO said at a Houston fundraiser for the MD Anderson Cancer Center, the New York Post reports. "And I'd have to say to him 'Mr. President, I understand what you want to do, but you can't do it that way, it violates the law. It violates treaty,'" Mr Tillerson said, The Houston Chronicle reported. "He got really frustrated. I didn't know how to conduct my affairs with him any other way than in a very straightforward fashion, and I think he grew tired of me being the guy every day that told him, 'You can't do that,'" he said. "I'd say here's what we can do," Tillerson said. "We can go back to Congress and get this law changed. And if that's what you want to do, there's nothing wrong with that. I told him I'm ready to go up there and fight the fight, if that's what you want to do." Mr Trump, he continued, "doesn't like to read" briefing papers, and "doesn't like to get into the details of a lot of things" or have his gut instincts challenged. The president would say: "Look, this is what I believe. And you can try to convince me otherwise, but most of the time, you're not going to do that," he said. Mr Tillerson, who was fired by a presidential tweet in March, had a rocky relationship with Mr Trump from the start - and did not even meet the man until he was given the job. The president belittled his top diplomat on Twitter, once telling him he was wasting his time trying to negotiate with "Little Rocket Man," Mr Trump's name for North Korean dictator Kim Jong-un until the two became pals. "He acts on his instincts," Mr Tillerson added in his first public remarks since leaving office. "In some respects, that looks like impulsiveness, but it's not his intent to act on impulse. I think he really is trying to act on his instincts." He said that coming to work for Team Trump from the "disciplined, highly process-oriented" Exxon was "challenging." "There's no question," he said about Russia's interference, adding that it was thoroughly documented by intelligence agencies. "What Russia wants to do is undermine our confidence and undermine the world's confidence in us," Mr Tillerson said. 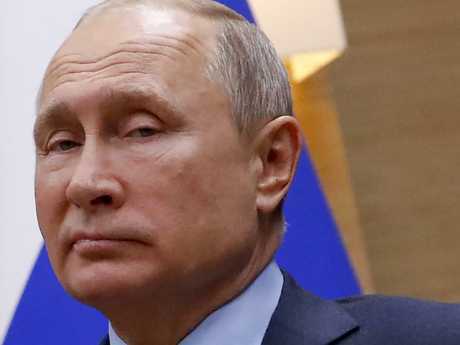 Mr Putin, he continued, was a "very calculating" and "very opportunistic" leader whose strategy was to undermine US influence around the globe. "Many people talk about playing chess. He plays three-dimensional chess," Mr Tillerson said. And he took a shot at the president's Twitter addiction while expressing disappointment that his base seems to embrace his near-daily tweetstorms. "I will be honest with you, it troubles me that the American people seem to want to know so little about issues, that they are satisfied with a 128 characters," said Mr Tillerson, who was replaced by Mike Pompeo, whose nationalist foreign policy views align more closely with Mr Trump's.